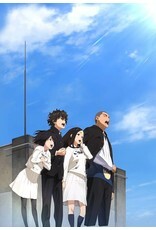 From the creators of the hit series and movie, "Anohana The Flower We Saw That Day”! Theatrically released in US and Canada! But, really, I want to shout it out…my honest feelings like a beautiful anthem is waiting to break free!